Locust and Marlin considers how, in lives bright and brief as a candle's burn, we tell our stories and locate the places where we live and love. Where is the origin, our point in space from which we view the world? How much control do we have over who we are and what impact we have on the territory we inhabit? In a world whose boundaries and pathways are increasingly difficult to define, how do we find our way home? 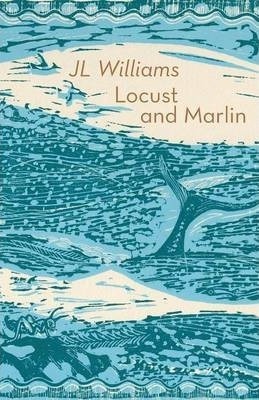 Locust and Marlin is JL WIlliams' second collection of poems. JL Williams was born in New Jersey and studied at Wellesley College and on the MLitt in Creative Writing at the University of Glasgow. Her poetry has been published in journals including Aesthetica, The Red Wheelbarrow, Chanticleer, Cutting Teeth, The Wolf, Orbis, Poetry Salzburg Review, Poetry Wales, Gutter, Brand, Metropolis, Fulcrum, Shearsman and Stand. Since moving to Edinburgh in 2001 she has been active both as a poet and in the performing arts as a director and producer. She was awarded a grant from the Scottish Arts Council for a poetry collaboration entitled chiaroscuro pentimenti with composer Martin Parker and artist Anna Chapman. In 2009, the Edwin Morgan Travel Bursary from the Scottish Arts Trust allowed her to travel to the Aeolian Isles where she wrote the poems that became her first collection, Condition of Fire. JL Williams plays in the bands Laertes, Why Are You Crying? and Horsebreaker. She is on the editorial board of Brown Williams Journal and can also be found on the Live Literature funded list of Scottish Book Trust Authors.